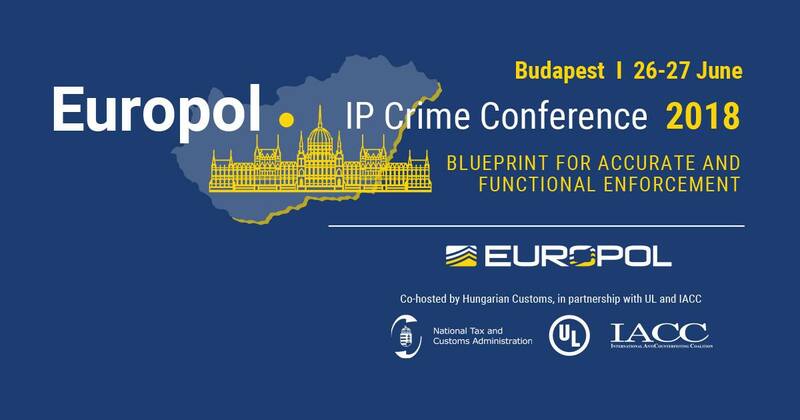 ​Europol’s Intellectual Property Crime Coordinated Coalition (IPC3) is pleased to announce organized the 2nd Europol Intellectual Property Crime Conference, co-hosted by the Hungarian National Tax and Customs Administration in partnership with UL (Underwriters Laboratories) and the International AntiCounterfeiting Coalition (IACC). The Conference will be held on 26 and 27 June 2018, at the Marriott Hotel Budapest, in Budapest, Hungary. After the Europol Intellectual Property Crime Conference in Antwerp in 2017, participants will have the opportunity again to discuss edge-cutting new trends of intellectual property rights enforcement during plenaries, workshops and exhibitions with leading experts from law enforcement, private industry and academia from all over the world. Colonel t.ISSMI Salvatore Paiano will take part in the conference from the Intellectual Property Special Unit of Finance Guard.